EghtesadOnline: As Iran is dealing with the ramifications of the government's policy announced on April 9 to unify the country's dual foreign exchange rates, the private sector has called on President Hassan Rouhani's administration to make a series of changes to its policy, especially by creating a secondary foreign exchange market. "If the government allows the formation of a secondary foreign exchange market with the aim of providing currency for other needs [besides imports, travelers and students], foreign exchange rates will also decline," Masoud Khansari, the head of Tehran Chamber of Commerce, Industries, Mines and Agriculture, was quoted as saying by TCCIM's official website. He was speaking on Saturday at the latest dialogue council of Tehran's private sector players and identified several deficiencies in the government's currency policy. For instance, Khansari said the private sector concedes that the government's measure to unify the rates was all but unavoidable –since foreign exchange rates were unabatedly rising in the open market–but it also rejects the 42,000-rial rate designated for the US dollar as it is too low–the open market rate is still well above 60,000 rials, Financial Tribune reported. "This sort of rate will lead to an increase in demand and only result in the treasury being emptied if it is used to meet all requirements," he said. The official noted that many traders have swarmed TCCIM to receive official commercial cards that will most likely be used only once, adding that if this trend prevails, the government policy will only lead to more corruption and less transparency. Khansari asked the government to refrain from providing foreign currencies at official rates to products like cosmetics and hygienic products, and instead focus on major exports such as pistachios and saffron to prevent their devaluation in the coming months. A senior lawmaker has also concurred that the country requires an open market to answer the real needs of people and sectors that have been largely ignored since the rate unification policy was implemented. 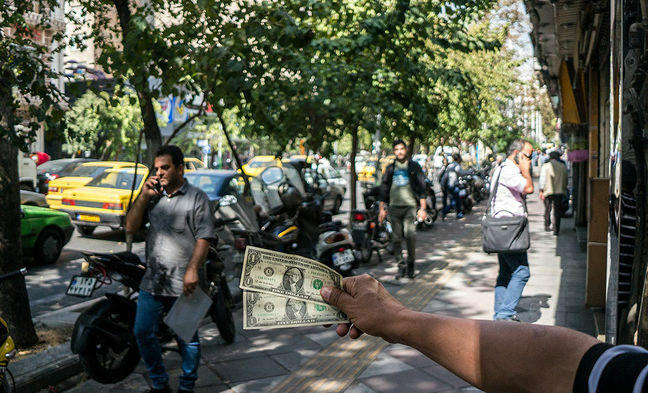 "The myriad of demand in the market requires the establishment of an unofficial organized market in the foreign exchange arena so that people who require hard currency can deal in this market and naturally at a rate higher than the government-approved 42,000 rials," Ali Akbar Karimi, the deputy head of Majlis Economic Commission, told IBENA. He said the government's decision to declare trading in any other rate as "smuggling" has inflicted much hardship on the general public "and is not sustainable". "We must agree that when we have foreign exchange limitations and cannot meet all needs, then we will certainly face quotas, prioritizations and an unofficial market with rates higher than those approved by the government," he added. Another lawmaker announced that the government has agreed to make some concessions concerning its foreign exchange policies in cooperation with the parliament. "We have held meetings [with government officials] and reviewed issues such as proposals by the private sector and [the Central Bank of Iran's governor] Valiollah Seif has agreed to accept them," Hamidreza Fouladgar also told IBENA. The parliamentarian, who heads a specialized commission aimed at supporting national products, also said, "In a closed session with the vice president, the parliament presented a number of proposals and it was agreed that the government would make changes to the organized foreign exchange market and provide for the needs of the people, such as travel and medical foreign currencies." Noting that both the government and CBI have agreed to make changes, Fouladgar stressed that the administration must also reform measures related to currency for imports and export, in addition to better addressing the needs of small applicants.